Citing an official confirmation from AT&T rep Seth Bloom, DSLReports is, well, reporting that AT&T will pull the trigger on data caps on heavy users of its U-Verse and DSL offerings, starting May 2. Using the iPhone and Android phones as touch remotes is effectively old school at this point. Next up, telling your TV what to watch - which is what's next for AT&T and likely, U-Verse customers. AT&T's U-Verse app for Windows Phone 7 is fairly snazzy. It's got a full programming guide with DVR remote controls, and you can also download shows to watch later (no streaming yet, boo). We'd gotten a peak at AT&T's U-Verse Mobile app earlier this year, but it's now officially available for iPhone and BlackBerry Torch owners. You can set your DVR, sure, but you can also download shows to watch on your device. 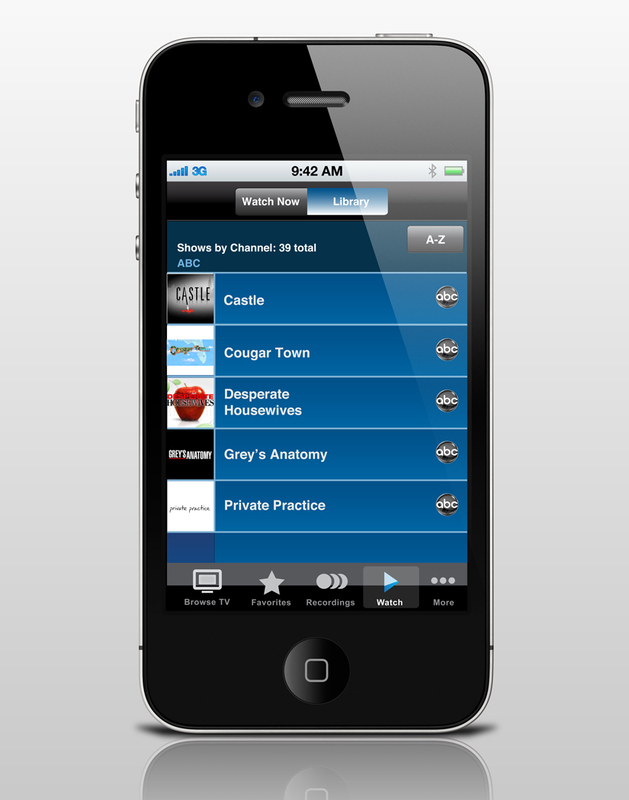 AT&T's U-Verse Mobile app is coming, and we've gotten our first demo of how AT&T's bringing TV to phones. It's a sleek-looking, intuitive interface that'll let U-Verse customers watch manage their DVRs remotely and watch recorded video on their phones. While AT&T U-Verse lags far, far behind Verizon FIOS in the insane bandwidth race, the boost to 18Mbps downstream for the top tier U-Verse package that starts Nov. 9 nearly doubles the relatively pokey 10Mbps they offered. To put it in perspective though, Verizon has an upstream package that still goes faster than that. And they don't have those pesky caps looming, either. Walmart: Would You Like a Side of AT&T U-Verse With That Vizio TV? AT&T is going to sell its U-Verse TV and internet service at Wally World and Circuit City in areas where it's available, hoping to juice adoption rates. Which means that Walmart's odd metamorphosis into a place you can legitimately go gadget shopping (at 3AM while completely hammered, which, let's be honest, is the real appeal here) is nearly complete. AT&T is figuring out options for linking U-Verse to the iPhone, and plans on eventually introducing services that'll meld the two into an all encompassing home theatre system. Features being developed include using the phone as a remote control, listening to voicemail on TV, downloading shows from DVRs onto iPhones and virtually hurling tomatoes at the screen. Is it weird that the last feature is the one I'm most excited about? AT&T's just updated its terms of service for broadband customers, and starting next month, if you're a heavy downloader, get ready to have your connection squeezed to a trickle. While they haven't implemented usage caps a la Comcast (yet) they are using a similar traffic management technique starting on Oct. 18 that will slow down your whole connection if you're "using other U-verse services in a manner that requires high bandwidth." In an attempt to one-up Verizon's FiOS, AT&T has finally rolled out a new software update for its U-verse service that'll let subscribers watch recorded shows on up to eight different TV sets. FiOS only offers multiroom DVR for seven different televisions currently. The feature is already available in San Francisco an nearby subscriber cities, but ought to be rolled out to the rest of the Bay Area this week. While I'm sure this is a welcome change for anyone who's been using U-Verse, I doubt being able to DVR on one extra set will help AT&T gain the ground it so desperately craves. The video labs at AT&T's Atlanta HQ are not located on the higher floors of its 47-story Midtown Centre where, between demos, you can casually scrape a view of the city through giant windows. You know, where you might expect to see the future of TV. Instead, they're buried down on the second floor in a building a few doors down, in a plain grey room, whose only exceptional attribute is a wall of TVs--eight total including two 60-inchers--which are hooked up to experimental U-verse IPTV DVR boxes. In this room, sitting on the single blue-green couch, you can stare up and see the future--TV-to-phone video calling, iPhones as remote controls, on-screen visual voicemail, MST3K-style chat while viewing and more--TV as you will hopefully know it in the next couple of years. AT&T is nixing the agreement they've had with Dish TV since 2003 to sell their satellite TV service as part of a triple play bundle with internet and voice. Some are speculating it's because AT&T is simply down on satellite TV (it's got its own U-verse IPTV thing after all), but more likely it's pitting Dish and DirecTV against each other in a bidding war, since U-verse deployment ain't exactly a runaway train speed-wise. So, realistically, you could see AT&T hawking DirecTV instead of Dish next year, which would be a blow to to the latter, since they're already little number two. But maybe AT&T will be super ballsy and push off satellite altogether.